Moving on after a house fire can seem daunting—in fact, sometimes it can feel downright impossible. But it doesn’t have to. Knowing where to begin and who can help you is a crucial first step in putting your life back together. If you’ve just suffered a house fire, follow these eight steps to help you and your family through this difficult time. House fires are a terrifying experience, especially for children and pets. Finding a safe and comfortable place to relocate—even if it’s only for one night—will help you plan your next steps and give your family time to rest. If staying at a hotel or with friends or family isn’t available, reach out to your local disaster relief agency like the American Red Cross or Salvation Army. Many times, these organizations can provide temporary shelter for free. File your claim immediately. The sooner you alert your insurance carrier, the sooner you can begin repairs or searching for a new home. Many carriers also provide help for daily expenses known as loss of use funds. These are especially useful if you lost your credit or debit cards in the fire. Your agent can also help you find cleaning or abatement services. Empty homes—even those with fire damage—can be attractive locations for squatters and looters. 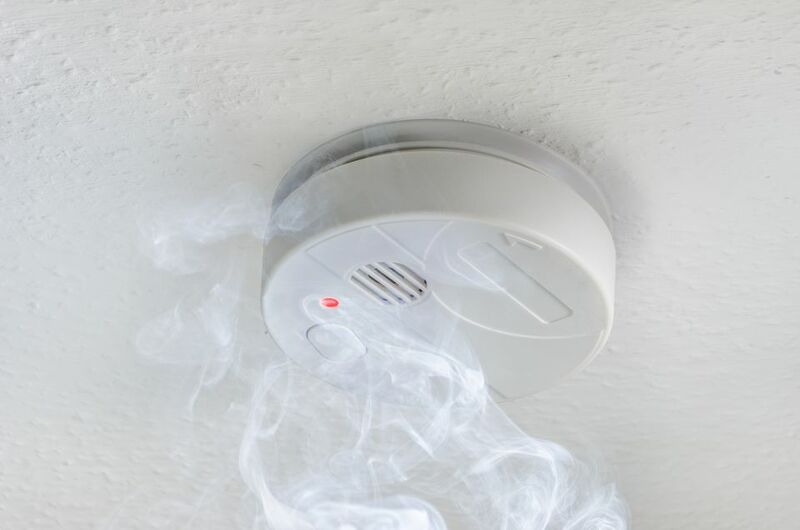 Alerting local police to your fire will ensure your property remains safe during your absence. Boarding up windows and doors will provide an additional layer of security. You can tackle this job yourself or hire a pro. The cost to board your windows will range from between $20 and $100 per window. Prices will vary based on the number and size of windows, and whether you hire a pro or not. Be sure to check with your fire department to ensure the home is safe to enter before beginning this job. Financial responsibilities will continue regardless of your fire. Many insurance policies cover mortgages, but it’s important to check on other recurring costs like car payments as well. Additionally, consider canceling cable and internet services if you won’t be in your home for several months. If you’re planning to front the costs of abatement, you can expect to pay between $800 and $25,300+. It’s common to lose possessions like cooking equipment and clothing in the fire, too. Keep your receipts when replacing these items to ensure you’re quickly reimbursed. These can be pricey purchases if made at once for several family members. Making a list of items—both big and small—that were lost or damaged in the fire will ensure you’re reimbursed. Many carriers will require detailed information like make and model, serial numbers, and receipts. This can be difficult if your home was completely destroyed or you don’t yet have access to it. If you have a computer, searching online bank statements can help you present proof of purchase and exact costs. It’s also critical to make a list of important documents that were lost in the fire. Items like drivers’ licenses, birth certificates, passports, titles and deeds, medical records, tax information, etc., will need to be replaced immediately. Your agent will let you know which items are necessary for your claim. Replace those first. House fires can weaken the structural integrity of your home and leave behind noxious fumes from burned materials. If you need to return home to recover items, wait until a fire marshal has deemed the area safe. Aside from being dangerous, re-entering your home too soon can also void parts of your insurance policy—which can cause major problems when it comes to getting reimbursed later. Only enter your home once it’s deemed safe by the fire department and your insurance carrier. Many homeowners rent a storage unit to house salvageable items. Leaving possessions in your home can cause further damage and make it difficult for your abatement and repair crews to work. Most homeowners pay between $40 and $225 a month for storage units. Size and extras like climate control will affect pricing. In some cases, firefighters will turn off utilities to prevent further damage. If your utilities are disconnected, contact your fire department and utility provider before turning them on again. Connecting unsafe utilities can cause additional fires, gas leaks, and severe water damage. Have a professional inspect your home before attempting to turn on your utilities.